The international law firm Greenberg Traurig, LLP announced that Joshua L. Raskin has joined its New York City office as a shareholder in the Intellectual Property & Technology Practice where he will focus on patent and trademark litigation. Raskin is a registered patent attorney and focuses his practice on complex federal intellectual property matters. He has experience representing various industries including electronics, liquid crystal displays (LCD) panels, computer technology, mobile handsets, Internet Protocol Television and finance. Raskin’s move to Greenberg Traurig comes on the heels of a number of high profile patent litigation hires that have helped to further enhance the firm’s national platform including Dr. Jonathan David Ball and Richard Pettus in New York from King & Spalding, Kate Hutchins in New York from Wilmer Cutler Pickering Hale & Dorr LLP, Rick Tache in Orange County from Snell and Wilmer, Ross Spencer Garsson in Austin from Matheson Keys Garsson & Kordzik PLLC, Lance Anderson in Austin from Emergent Technologies, Inc. and Kakoli Caprihan in Washington, D.C. from Finnegan Henderson. Deborah L. Drazen, Ph.D., is also joining Greenberg Traurig’s Intellectual Property & Technology Practice in New York as an associate. Dr. Drazen’s practice focuses on intellectual property issues in the areas of biotechnology and pharmaceuticals through the preparation and prosecution of U.S. and international patent applications. She previously was an associate at King & Spalding. Raskin holds a J.D. from Brooklyn Law School and a B.S.E. from the University of Michigan. Drazen holds a J.D. from Fordham University School of Law, a Ph.D and M.A. in psychological and brain science from Johns Hopkins University and a B.A. in biopsychology from Vassar College. Prior to joining Greenberg Traurig, Raskin was a partner with Bernstein Litowitz Berger & Grossman where he was head of that firm’s Intellectual Property Litigation Group. With more than 200 intellectual property attorneys and agents, Greenberg Traurig provides full-service patent, trademark and copyright protection and strategic counseling. 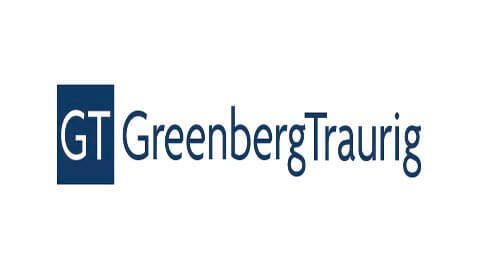 Greenberg Traurig was named a “National Tier 1” Law Firm for IP Litigation, Patent Law, Trademark and Information Technology Law by U.S. News and Best Lawyers, 2013 “Best Law Firms Rankings” in November 2012. The firm was also named a “National Tier 2” Law Firm for Copyright Law, Patent Litigation and Technology Law by U.S. News and Best Lawyers, 2013 “Best Law Firms Rankings” in November 2012.